A few years ago Be Quiet! announced their Dark Base Pro 900. Meanwhile the company is coming up with the Dark Base Pro 900 rev. 2, which is the same case but with few improvements that are separately available through retail channels. The Dark Base Pro 900 rev. 2 measures 577 x 243 x 585mm with a net weight of 14Kg and classifies as a full-tower. The case comes with a simple and sleek design and everything is kept in a classic and clean way. 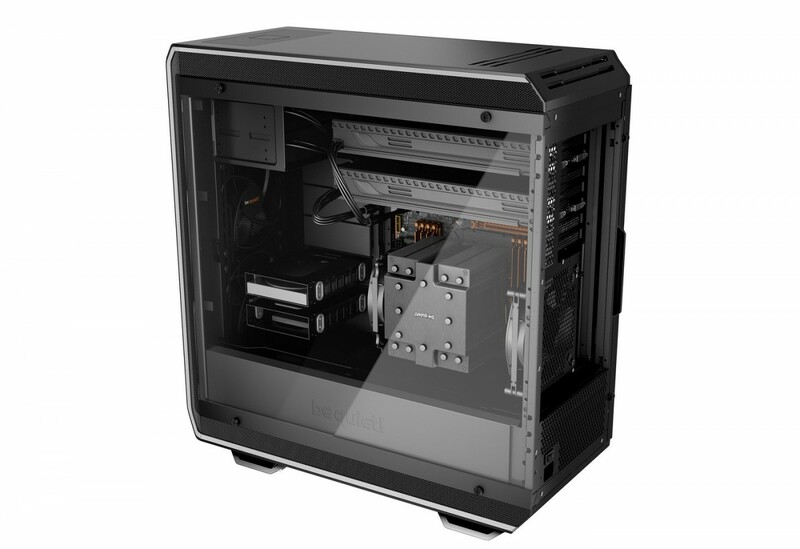 On the inside there is space for E-ATX, ATX, micro-ATX or mini-ITX motherboards. Cooling wise there is space for two big radiators (420mm) that could be mounted in the front or in the top. There is also enough space for high-end tower coolers, which can measure up to 185mm in height. The internal layout is quite simple and straightforward. You can install up to seven 3.5" HDDs or fifteen 2.5" SSDs. Furthermore there are two 5.25" slots to install additional HDDs or ODDs. Furthermore there are three pre-installed Pure Wings 2 fans measuring 140mm in diameter. What's nice to see is that there is even a little fan controller to manually adjust rotation speeds. The main differences between the rev.1 and the rev.2 are the PSU shroud, windowed side panel and the additional HDD cages. If you have already the rev.1, you can buy this components through retail channels. The Dark Base Pro 900 rev. 2 should already be available at local retailers for a suggested price of €269 Euro.